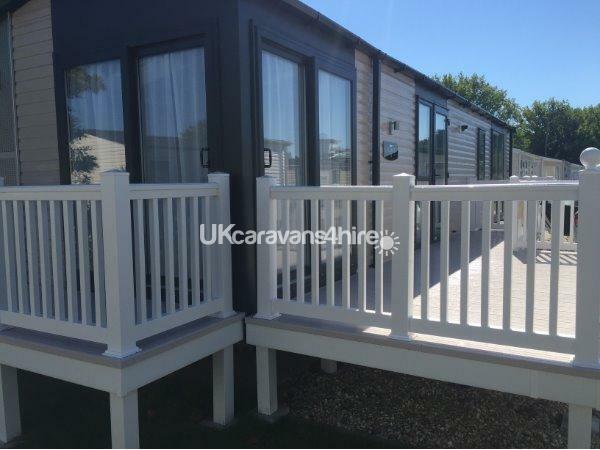 A non refundable deposit of £100.00 is payable immediately to secure booking. The balance is due ONE CALENDAR MONTH before holiday. A £100.00 damage and cleaning waiver is payable with the balance which will be refunded one week after departure after checks have been made. 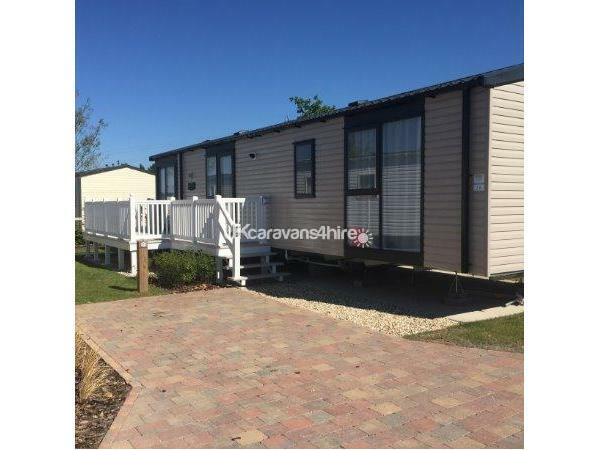 2016 modern 2 bedroom Swift Alsace sleeps 6. Side and front sliding patio doors. Large and spacious master bedroom with kingsize bed, double mirrored sliding wardrobe and dressing table with stool. Fitted bedside lights and spot lights over full length windows. 32inch television and ensuite toilet. Off set twin bedroom allowing extra space between beds. 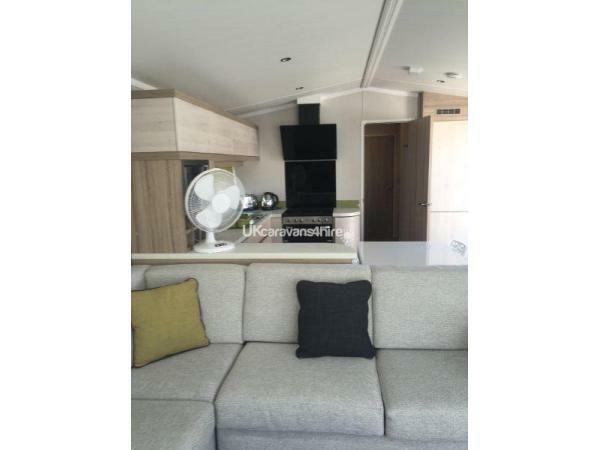 Open plan lounge to dining kitchen with 40inch television, Dishwasher, Full height intergrated fridge/freezer, Microwave and Toaster. 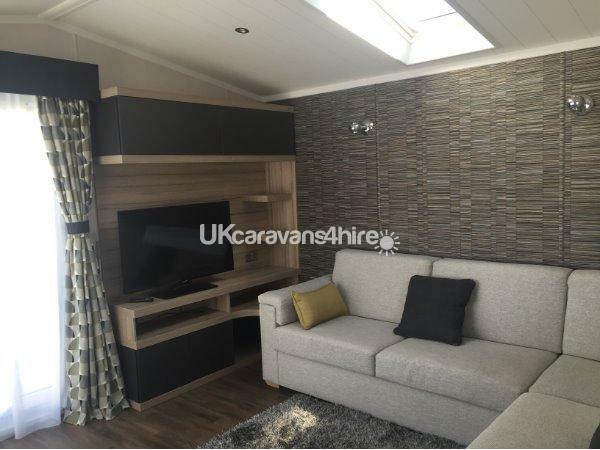 L shaped large sofa with pull out double bed. 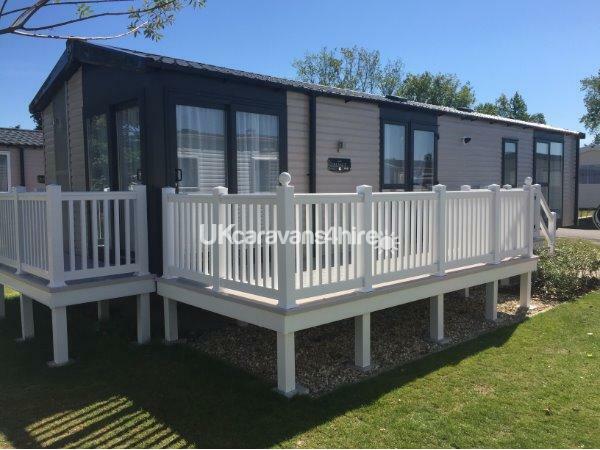 Veranda to front and side with rattan lounge furniture and table. All duvet and pillows are supplied. BED LINEN IS INOT INCLUDED. Block paved parking bay with extra parking for another vehicle at the end of the van. 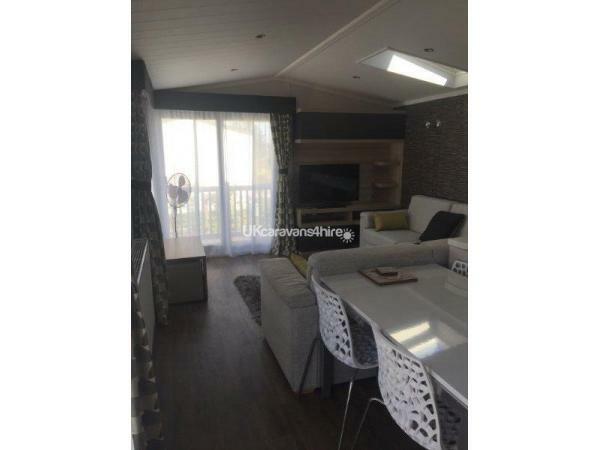 Very short walking distance to the complex in a new smart area of the park near to the lovely Rockley Spa. Fun Passes for the complex can be purchased from Haven Reception. Additional Info: Indoor and outdoor pools with slide. 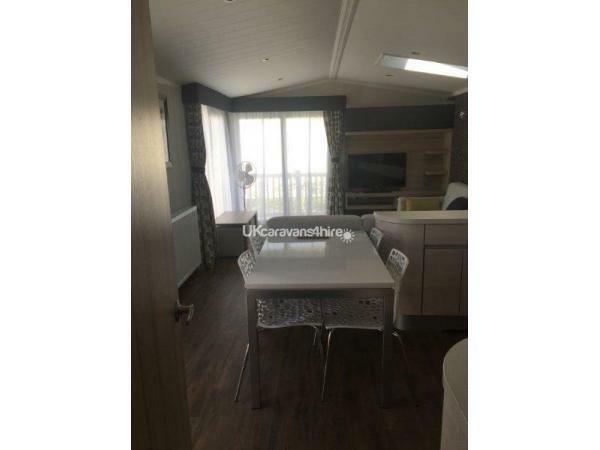 Spa, on site shop, arcade, restaurants and take sways, Live Lounge with nightly entertainment, kids clubs, many sport activities, on site beach with water sports and cafe.